This is the third in the mini-series that is What Kate Baked: Let's Make Christmas. Vanessa Kimbell's Let's Make Christmas is a brilliantly festive blogging challenge to create delicious foodie gifts this Christmas. 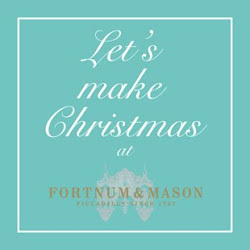 Stir Up Sunday, the day to mix the mincemeat, crack on with the Christmas Pudding and bake the Chritmas cake, is just a week away. The shops are stockpiling the mixed peel, the brandy and the luxury dried fruit. Meanwhile, at kitchen tables up and down the land each member of the family will stand patiently to take their turn at the mixing bowl. If, like me, you haven't been practicing your bicep curls religiously each day for the last eleven months in preparation for this moment, half a stir of the traditionally thick mixtures and you'll be done. This Crunchy Nut and Fruit Christmas Cake recipe doesn't require any weight training exercises. It is a very straightforward, very delicious recipe for a lighter bake, rather than the rich, dark, more traditional classic Christmas Cake. Heat the oven to 160C/140C fan/Gas Mark 3. Grease four small baked beans tins and double line the base and sides with baking parchment. The parchment should be lined to reach a few inches above the top of the tin. For the decoration, heat the golden syrup and butter in a small saucepan. When melted, stir in the toasted flaked almonds, whole blanched almonds and flour. If the decoration is too 'syrupy' add another spoon of flour. When the cakes are golden in colour, bring out of the oven and spoon the decoration over the cakes before returning to the oven for 5-7 minutes until the decorative topping is golden. Allow to cool before removing from the tins. Kate you are a genius. I've been thinking about making some mini Christmas Cakes too this year, but didn't want to do icing and wasn't sure how to decorate the tops - now I know ;-) These look so pretty and sound good too - I'm not a fan of too heavy a fruit cake. Wow Kate, they look so professional and yummy too! I am genuinely seriously impressed. Beautiful little Christmas Cakes Kate......Mum makes a version of these, with a toffee fruit and nut topping and I LOVE them! Yours are SO pretty.....just wonderful! Yummy! I love the nutty topping. This looks so cute! The perfect gift. These look so adorable! They really capture the spirit of Christmas - want to eat them now!! Oh my gosh, these are so very pretty that I think I'm going to make loads of these miniature cakes to give as gifts even though I don't celebrate Christmas myself! Love your fancy ribbons :). I want, no, I need one of these cute miniature cake. these look fantastic! what a great idea. And how prolific you have been on the baking front this last week!! They look gorgeous, and I love the individual size with that really lovely looking topping too - so festive!